These teacher friendly eight lessons are designed to encourage loving to pray. Contains Music CD and Teacher's Resource CD which includes teacher tips, resources and a reproducible journal booklet. Includes piano scores and lyrics for each week's suggested praise and worship music. Gives participants the opportunity to draw, write, sketch, their prayers and insights from each lesson. Each journal page contains the week's Bible memory verse. The 10-pack option is a great resource for small groups or families. 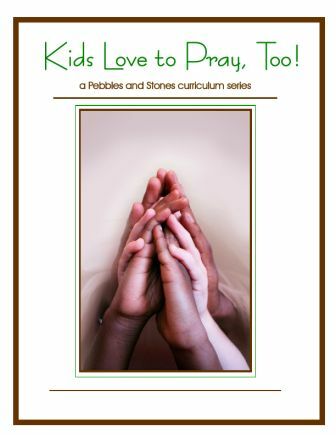 Great resource for using Kids Love To Pray Too! as a family devotional. Print whatever you need when you need it. Contains: Entire Curriculum (Teacher's Manual, Song Book, and Resource Materials) on 3 CDs. This combination contains the resources you will need in a church, small group or neighborhood setting. Contains: Teacher's Manual, Song Book and 15 individual journals. These easy to use 12 lessons will help the participants discover the different ways that God may choose to speak. Contains: Teacher's Manual that includes a Music CD and a Teacher's Resource CD containing tips, resources and a downloadable individual journal. Includes piano score and lyrics for each week's suggested praise and worship music. What's The Lord Gonna Do? 10-Pack is a great resource for small groups or families. 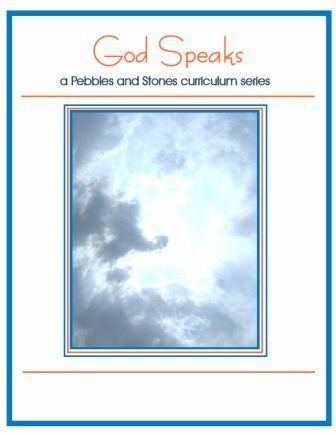 Great resource for using God Speaks as a family devotional. Contains: Teacher's Manual, Song Book, and individual journal.